Here’s my “Freaky Friday Fashion” pic for the week. 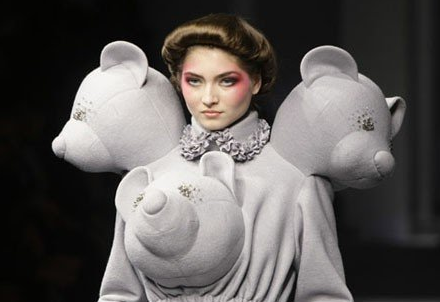 “Once upon time, there were three bears and a model.” Hmmmm… you finish the rest of the story, I’m running late this morning. I hope everyone has an amazing weekend!